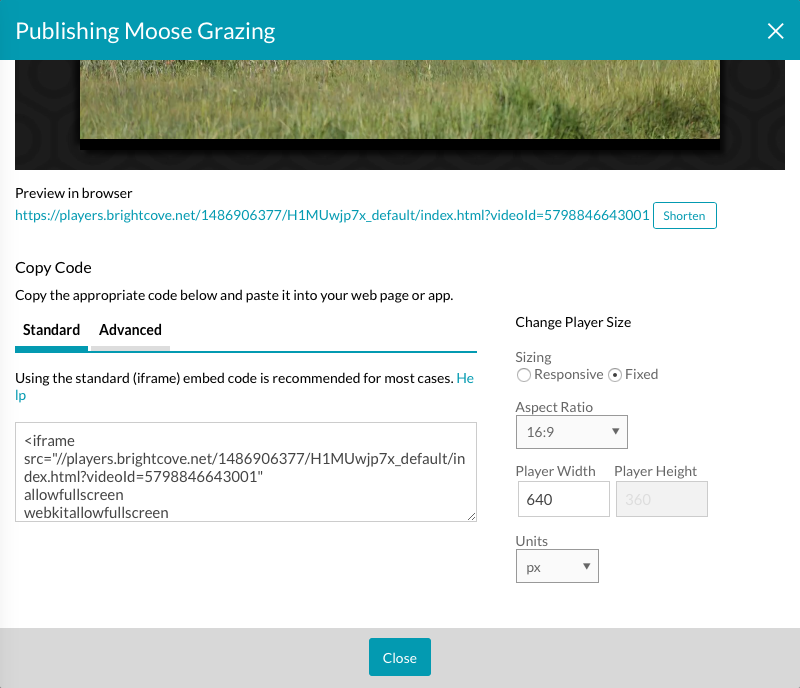 Note: If you selected the iframe implementation when publishing from Studio, you will see the options allowfullscreen webkitallowfullscreen mozallowfullscreen added in the iframe. If you are ever manually placing a Brightcove Player, either the in-page embed or iframe implementation, in an iframe you should also include those options for proper fullscreen functionality. If for some reason you nest a player in multiple iframes, all iframes should have the options added.